On the 21st of every month Jan-Nov of 2019 I will be re-posting podcasts on Twitter and Instagram. Want your podcast to be added to this list of dope podcasts? Check out the submit form below. Podcasts are being added now. There are Podcasts in Color all over the world! Check out this map and add your podcast if you don't see yourself. On twitter we share podcasts, talk about our favorites and talk about the podcast industry. Started with a one page on blogger an now we are here, almost three years later. Currently doing a final count of active podcasts in the directory but at my last count there were over 500. Hello! 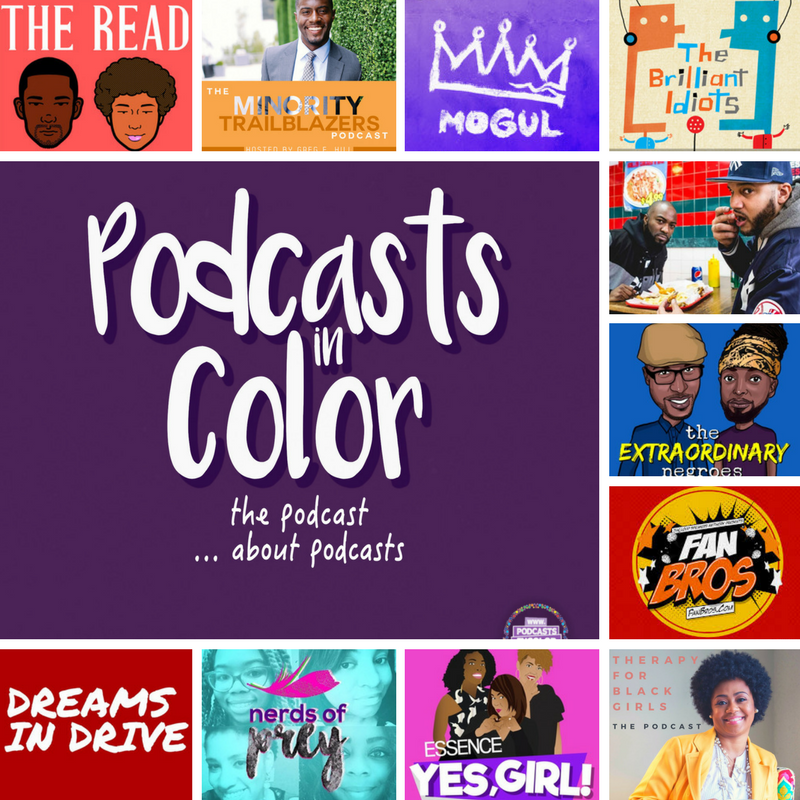 Thank you for finding podcasts in color! Please check out the full directory here, submit your podcast here or check out my podcast here.